On May 16, the Environmental Investigation Agency (EIA) filed the first-ever complaint against a licensed High Conservation Value (HCV) assessor. The complaint, submitted to the HCV Resource Network (HCVRN), was produced in partnership with Greenpeace, Aidenvironment and Yayasan Inisiasi Alam Rehabilitasi Indonesia, and is an ongoing part of EIA’s work to eliminate the poor, fraudulent and deficient environmental and social assessments and audits which often undermine Roundtable on Sustainable Palm Oil (RSPO) palm oil certifications. The complaint includes a review of the summaries of 34 HCV assessments led by Nyoto Santoso (those currently in the public domain) and references several detailed reviews carried out by reputable HCV assessors. Santoso’s RSPO HCV assessments have covered more than 520,000 hectares of land across a range of Indonesian ecosystems. Methodologies evident in Santoso’s HCV assessments display fundamental deficiencies, sampling and factor-assessment bias, and contained untrue information. Combined, his assessments resulted in only 50,000 ha being recommended for protection from conversion to palm oil, while advising that the clearance of nearly 470,000 ha of habitat controlled by groups such as Bumitama Agri Ltd, First Resources Ltd, Noble and PT Austindo Nusantara Jaya Agri, as well as Goodhope Asia Holdings, was “sustainable”. The HCV approach, developed to provide additional safeguards to protect critical environmental and social values in commodity production landscapes such as palm oil plantations, is an integral part of the RSPO standard and the RSPO New Planting Procedure (NPP), introduced on January 1, 2010. While the HCVRN Assessor Licensing Scheme introduced in January 2015 provides quality control on HCV assessments submitted as part of the NPP since July 2016, many HCV assessments have been the basis for land developments since 2010 – land developments which consequently go on to being labelled as “sustainable” under the RSPO. 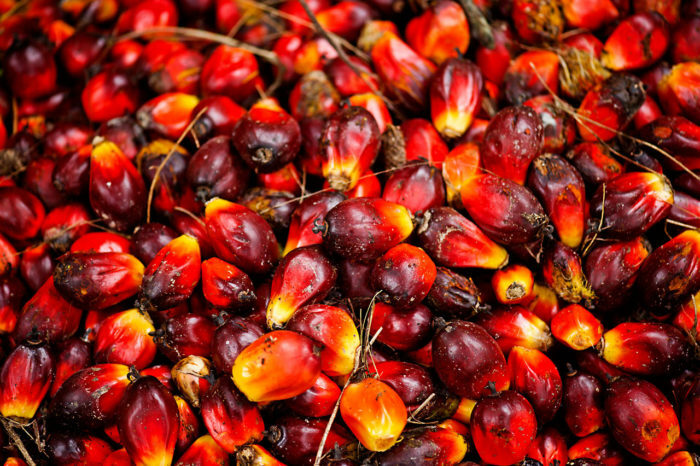 EIA’s complaint against Nyoto Santoso follows the issuance earlier this month of a “stop work order” from the RSPO covering seven oil palm concessions of Goodhope Asia Holdings – the sustainability director of which is a vice president of the RSPO. The RSPO order against Goodhope was imposed following interventions (here and here) submitted in early May by EIA and the NGOs Forest Peoples Programme, Greenpeace and Pusaka regarding the poor and deficient NPP submissions for the company PT Nabire Baru, in Papua, Indonesia. The NPP included an HCV assessment by Nyoto Santoso that ignored the existence of primary forest, included no information on land ownership, and glossed over a period in which PT Nabire Baru operated illegally without the required permits. The scale of deficiencies in the Nabire Baru HCV assessment, and the RPSO’s demand that other Nyoto Santoso HCVs be repeated by GAH, combined with evidence of similar failings across many concession assessed by Santoso, promoted the submission of a complaint to the HCVRN. The case of Nyoto Santoso reaffirms the fact that schemes such as the RSPO are only as strong as the auditors and assessors ultimately responsible for their implementation on the ground. 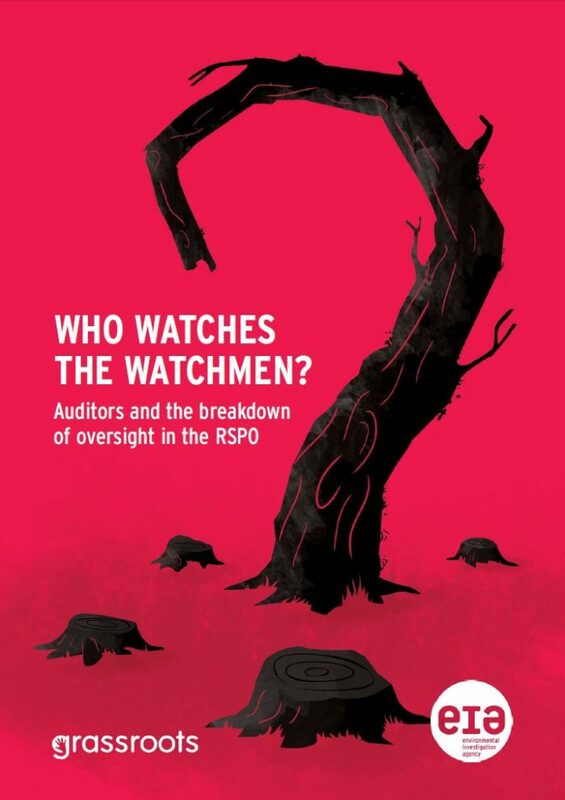 As evidenced by EIA’s 2015 Who Watches the Watchmen report, the capacity and performance of RSPO auditors and assessors, such as Nyoto Santoso, have been partly to blame for the most high-profile complaints against RSPO members’ practices. By voting in Resolution 6h/2015 at the organisation’s 12th General Assembly, the RSPO membership agreed that RSPO systems needed serious reforms to ensure the credibility of the entire scheme. The RSPO Secretariat is unfortunately still displaying reticence to act on the mandate it was given through Resolution 6h to develop and enact such reforms. At a time when major markets such as the European Union are increasingly looking to address their deforestation impacts, and sustainability standards such as the RSPO are presenting themselves as the solution markets and regulators desire, it is imperative RSPO assessments and audits can be trusted. The fact is that they often cannot – and the clean-up of the RSPO is only just beginning.